PRE-HOLIDAY SALE!!! 40%-70% OFF SELECTED ITEMS INSTANT FINANCING AVAILABLE. Our sales staff is knowledgeable and committed to customer service. Our staff is not paid commissions therefore the sale is pressure free. We are a family business and are committed to growth, customer service and customer satisfaction. 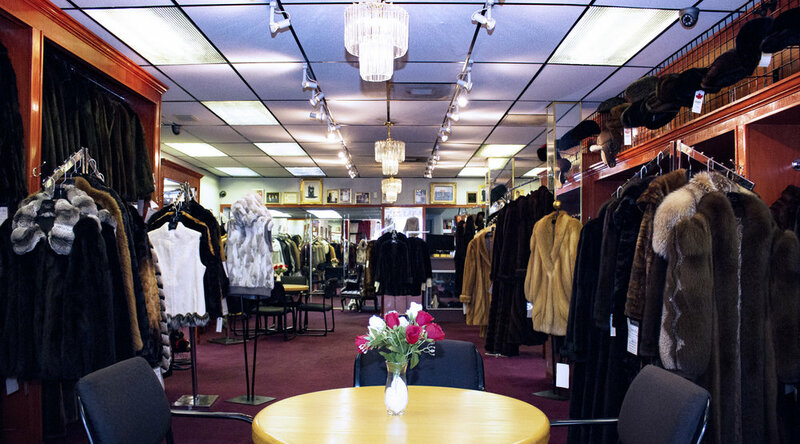 In business for seventeen years the family owned and operated full service salon can facilitate all of your fur needs on the premise. Our services include: cleaning, storage, repair, restyling, custom deisgn and in store retail. We also carry leather and shearling in all sizes including men's and plus sizes.